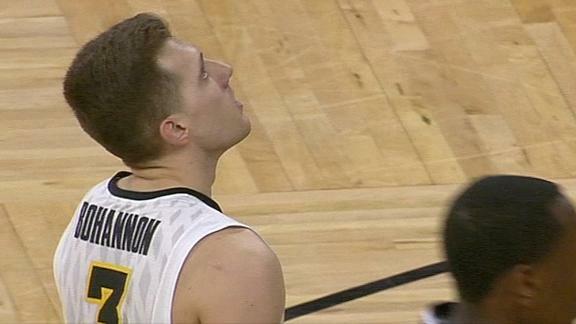 Iowa point guard Jordan Bohannon missed a record-breaking free throw Sunday at Carver-Hawkeye Arena on purpose according to YAHOO Sports. The sophomore short-armed purposely so he did not break former player Chris Street’s record. Street’s has the Hawkeyes record of 34 consecutive free throws in 1993. The star player was tragically killed in a car accident his junior season. Hawkeyes are 13-18 and 11th in the Big Ten. ← Birdman & Toni Braxton Are Engaged! !